Kangra, Jan 14: Preparations started on Saturday morning for the installation of the idol of made of 1,600 kg of clarified butter in the famous Brajeshwari Devi temple here in Himachal Pradesh, officials said. The idol, being prepared by using ‘desi ghee’ after purification with holy water 101 times by temple priests, will be open for the public early Sunday morning, temple official Pawan Badyal told IANS. He said the butter idol would be removed from the ‘pindi’ or iconography of the goddess on January 20 and its ‘prasada’ or edible food would be distributed among the devotees. It is believed the idol butter cures chronic skin ailments and pain in the joints. According to a legend, when the goddess was injured during a fight with the demons, her wounds were treated with butter by gods on Makar Sankranti. 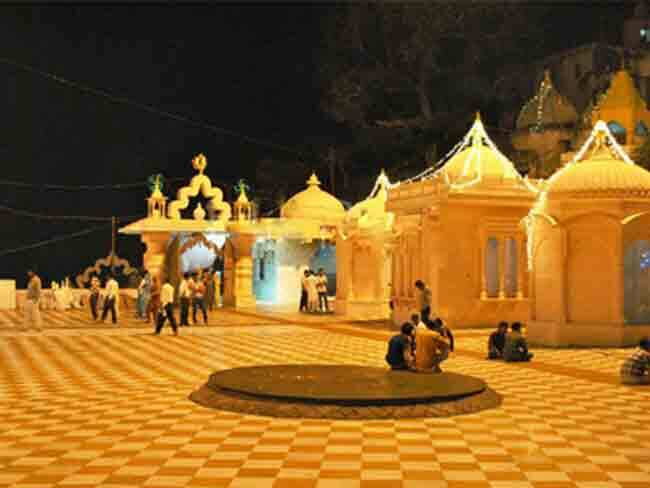 One of the busiest shrines in north India, the Brajeshwari Devi temple in this Himachal town sees a large number of pilgrims from Punjab, Haryana, Uttarakhand, Delhi and Uttar Pradesh. Every year the preparations for installing the butter idol begin on Makar Sankranti, which is celebrated as a week-long festival at the temple.